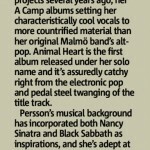 Nina Persson in The Scottish Daily Express today. 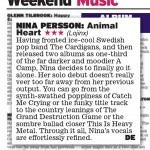 Nina Persson review in Metro today. 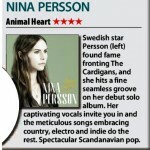 Nina Persson in the Daily Mirror today. Did you hear this yet? 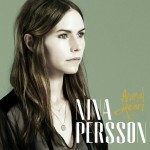 Here’s a new track from Nina Persson‘s forthcoming album Animal Heart. 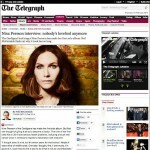 Nina Persson European tour 2014 dates!